Online store network for recreational vehicles. ATVROM company owns a large number of sites, based on different scripts, hard to manage. For this reason we completed a project to combine all these sites into a single platform, able to manage an unlimited number of sites. Our system allows unification of all products in a single base, allowing their differentiation at all levels: site, language, currency, price, promotions, description, etc. The major advantage of this system is that you can manage a large number of sites by entering the information once and separate it only when needed. Also, the system allows unified management of all orders, differentiated access rights depending on each employee and continuous development. ATVROM is the main importer of ATVs, snowmobiles and recreational vehicles in Romania, distributing products of leading brands in the industry. 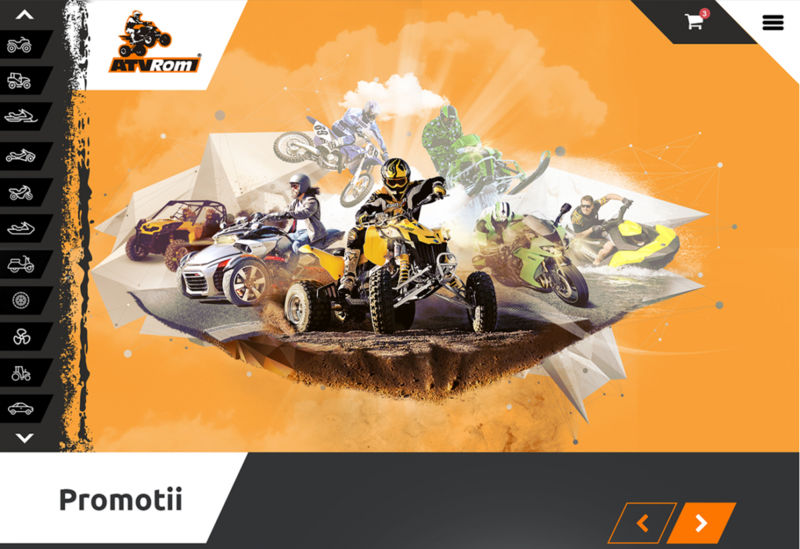 Through a large number of online shops, company becomes one of the largest distributors of ATVs in the country, commercializing products on all platforms in the online promotion.